NIU is pleased to welcome Dr. Todd Gilson as the new director of the University Honors Program as of July 1, 2016. 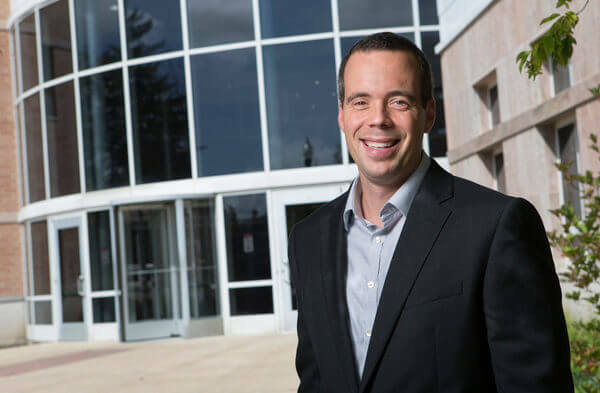 An associate professor in the Kinesiology and Physical Education (KNPE) department at NIU, Gilson’s research focuses on the link between key psychological constructs that help distinguish highly successful leaders and performers from less successful ones. The lessons acquired from his research about confidence, resilience and adaptability in the face of challenges are interwoven into his university honors classes. As the director for University Honors, Gilson will be charged with working closely with academic colleges, departments and units on campus in facilitating a rich program for over 1,100 students. Specifically, the University Honors Program provides students with such benefits as small and interactive classes with distinguished NIU faculty; the opportunity to apply for honors only scholarships; unique travel abroad experiences that can accrue course credit; honors engaged events that enhance students’ understanding of regional, national and international affairs; and the opportunity to live in the Honors House in New Hall. Gilson has been a faculty member at NIU since 2008, and since that time has amassed 29 peer-reviewed publications and dozens of presentations. Furthermore, he has been a section editor for Measurement in Physical Education and Exercise Science. At NIU, he has served on the University Council, Faculty Senate, the College of Education’s Curriculum Committee, chaired KNPE’s department personnel committee and provides sports psychology consulting services to NIU athletes. His previous administrative experiences include director of Undergraduate and Graduate studies for the KNPE department and secretary-treasurer for the Association for Applied Sports Psychology. He earned his bachelor’s degree in sports management from Ohio Northern University; a master’s degree in human performance from Oregon State University; and a doctorate in kinesiology from Michigan State University. Next Post:CSA Children’s Choir 2016-2017: Come sing with us!